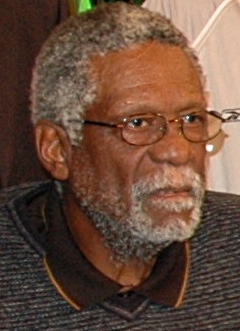 Bill Russell (born February 12, 1934) is a retired American basketball player. Russell played for the Boston Celtics in the National Basketball Association (NBA). He won 11 championships; 11 is the most anyone has ever won in American basketball history. Bill Russell Facts for Kids. Kiddle Encyclopedia.